When 15-year-old Christopher Boone discovers that his neighbour's dog, Wellington, has been murdered he takes it upon himself to find out who the culprit is. 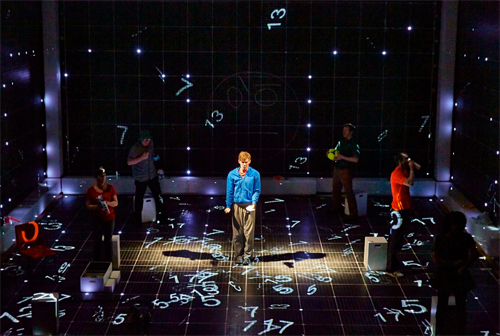 What follows is the story of Christopher's investigation as he compiles a list of plausible suspects using his extraordinary deducting and mathematical skills. This already sounds like an interesting synopsis for a play but what makes the story of Christopher so exceptional is that he suffers from Asperger syndrome and as we journey through his neighbourhood, and later London, on Christopher's quest we see the world around him through his eyes, which makes for a compelling and often loud experience. 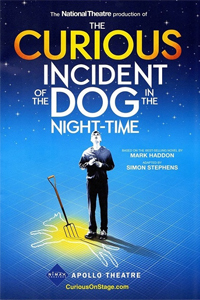 I read Mark Haddon's The Curious Incident of the Dog in the Night-time a few years ago as it came highly recommended by a friend and I thought it provided an interesting view on a boy with Asperger syndrome. Not only that, but the novel's unique approach gives the reader a fascinating insight into main character Christopher's mind, which only added to its appeal. It's not surprising then that despite the raving reviews for the stage adaptation I felt a little sceptical at first as I was unsure how they would be able to replicate this unique approach on stage. I needn't have worried. Not only is the play an incredibly apt adaptation of the book storywise, but the experience of going inside Christopher's mind is heightened in the theatre with very clever and impressive staging making it a beautiful production overall. 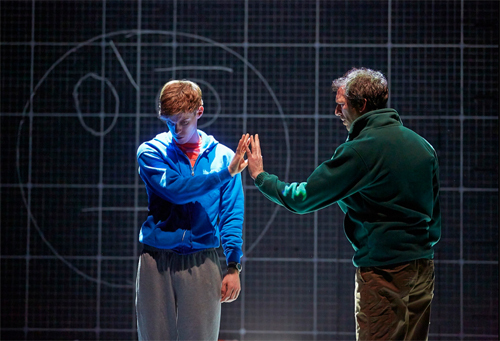 The set looks geometrical to reflect Christopher's mind and as the play progresses the audience is time and time again taken by surprise at how cleverly the quite simple but very effective surroundings are changed to suit the the storyline and Christopher's mind. I was particularly impressed by the scenes in which it looks like Christopher is scaling the walls and where the writing in his notebook is replicated onto the set. 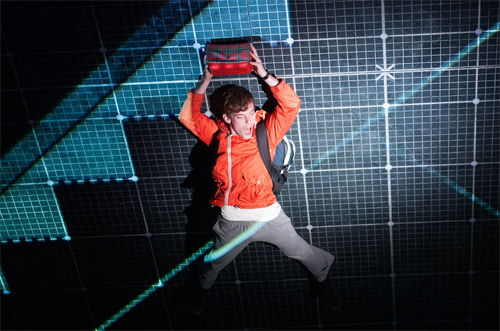 Luke Treadaway is simply phenomenal in the surprisingly physical role of Christopher. Not only is he completely believable as a 15-year-old boy, but he also manages to really get across the distress Christopher often feels about the world around him and that what he cannot control; unfamiliar places, loud noises and even something as simple as being touched are things that Christopher reacts to differently than most other people and Treadaway really gets the emotions across to the audience. He won the Best Actor Olivier award a few months ago for his portrayal of the character and it couldn't have gone to a more deserving actor this season - he's astonishing. 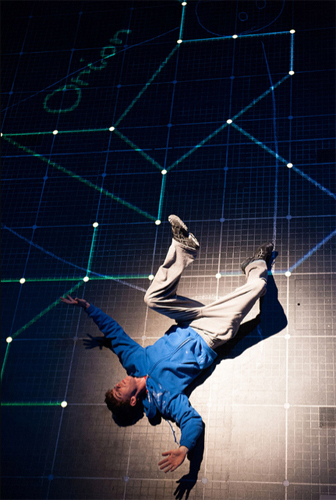 I cannot recommend The Curious Incident of the Dog in the Night-Time highly enough, it's easily one of the best plays I've ever had the pleasure to watch. Cast: Luke Treadaway, Holly Aird, Matthew Barker, Niamh Cusack, Sophie Duval, Jake Ferretti, Johnny Gibbon, Seán Gleeson, Rhiannon Harper-Rafferty, Jane Lambert, David Mara, Nick Sidi, Tilly Tremayne, Howard Ward and Claire Winsper.